Perfect daily hold for shorter styles or for finer hair. 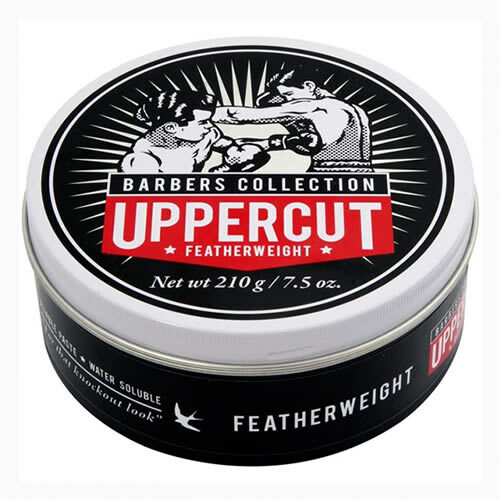 Uppercut Deluxe Featherweight is a hair wax that's brilliant at locking in a short style all day long, but then washes out just as easily at the end of it. This is thanks to the fact that it's water-based and therefore suits clients who like to change their style regularly. It works best for textured or messy styles on shorter hair, but also suits anyone who likes to keep their look sharp. 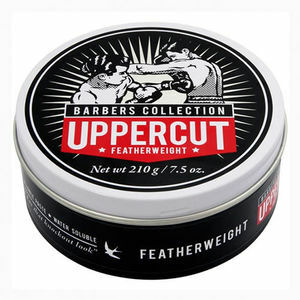 Uppercut Deluxe Featherweight has a dry, matt look, leaves no residue and has a clean and fresh smell. It's easy to apply, with a medium hold with grip that shapes hair quickly and holds it all day. Available in a barber-shop-friendly 210-g tin. £16.38 (inc. VAT) Why no VAT? We're a trade wholesaler and quote our prices without VAT to help our VAT-registered customers understand the true cost of a purchase. Sweat-resistant, medium-shine wax that gives ultimate monster hold on all styles. What a ripper! Comes in a 70-g tin. Simple but effective daily shampoo that cleanses, moisturises and reduces oiliness while nourishing the scalp.